Robert Stewart, maternal grandson of King Robert I, inherited the throne from David II in 1371. At this time, England still controlled large tracts of land in Lothian and the Border region. In addition to stopping trade with England and renewing the alliance with France, the king allowed his earls to engage the English in battles in occupied zones to regain their lands. He was, however, unwilling to commit the whole of Scotland to war, and these areas remained contested. 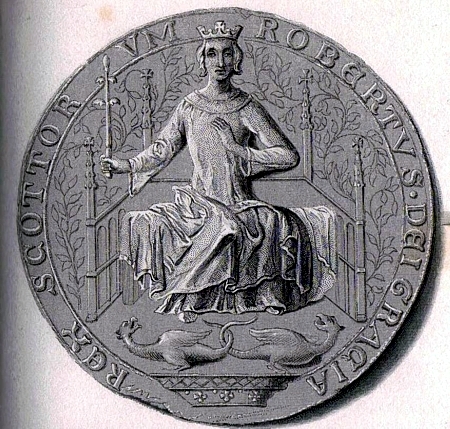 King Robert II's style of rule was marked by his delegation of authority to his most powerful sons and earls. 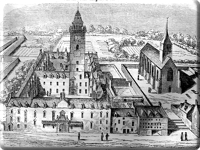 While this allowed Robert to maintain influence over eight of the fifteen earldoms in Scotland, either through his sons or his sons-in-law, it also marked a decentralizing shift in power. Six different Stewart monarchs reigned throughout the fifteenth century, a relatively peaceful period of history that transitioned Scotland from the Middle Ages to the Renaissance. With the national revenue growing from wool and fish exports, the government was able to invest in the betterment of its people. 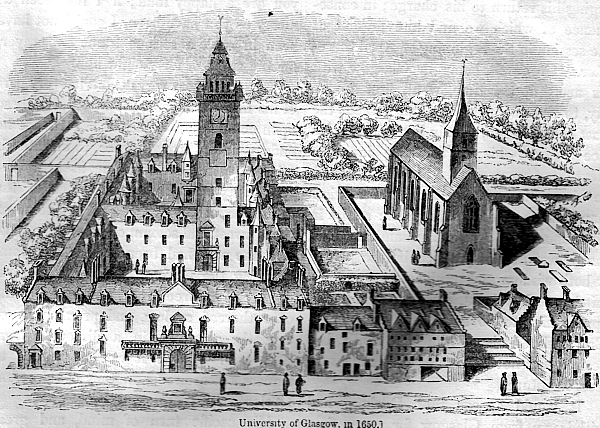 Education and literacy, which had been spreading since the medieval period, flourished with the foundation of three major institutions of higher learning: the University of Glasgow, the University of St. Andrews, and King's College, Aberdeen. 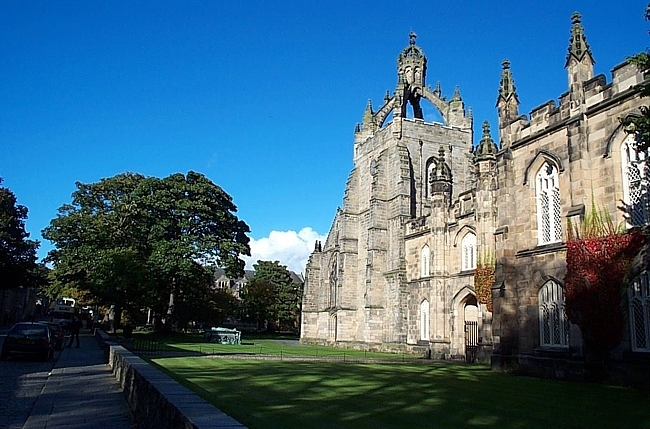 Parliament then passed Scotland's first compulsory education legislation in an effort to create a more responsive local legal system, which would lead to the improvement of judicial administration nation-wide. The Education Act of 1496 mandated that barons and wealthy landowners send their eldest sons to grammar school until they had perfected Latin, followed by three additional years of study in the arts and law. Nine years after the Education Act was passed, James IV granted a royal patent for the establishment of the country's first printing press. Scotland and England opened the sixteenth century with a great stride forward in diplomatic relations. 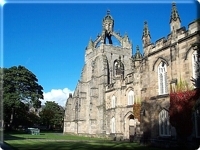 James IV of Scotland married Margaret Tudor, eldest daughter of Henry VII of England in 1503, ending centuries of Anglo-Scottish conflict with a wedding celebration. But the peace between England and Scotland lasted a mere decade. The strength of the Auld Alliance was greater than the marriage treaty, and James IV declared war on England after France turned to him for help during another stretch of the Hundred Years War. In an effort to divert Henry VIII's troops from their campaign against Louis XII, James met with the Earl of Surrey near Branxton, Northumberland, in September 1513. The Battle of Flodden Field was the largest battle in the history of Anglo-Scoto conflict, with each side bringing about twenty-five thousand troops, plus an additional five thousand knights supplied to Scotland by France. Surrey did not realize how complete his victory had been until the day after battle; in all, about one-third of the Scottish army had been cut down. Among the ten to twelve thousand men counted among the dead were King James IV, nine earls, fourteen Lords of Parliament, several Highland chiefs, the Archbishop of St. Andrews, and other prominent churchmen. Tradition holds that every noble family in Scotland lost a member in that battle. Their memory is commemorated in the folk song, "Flowers of the Forest".